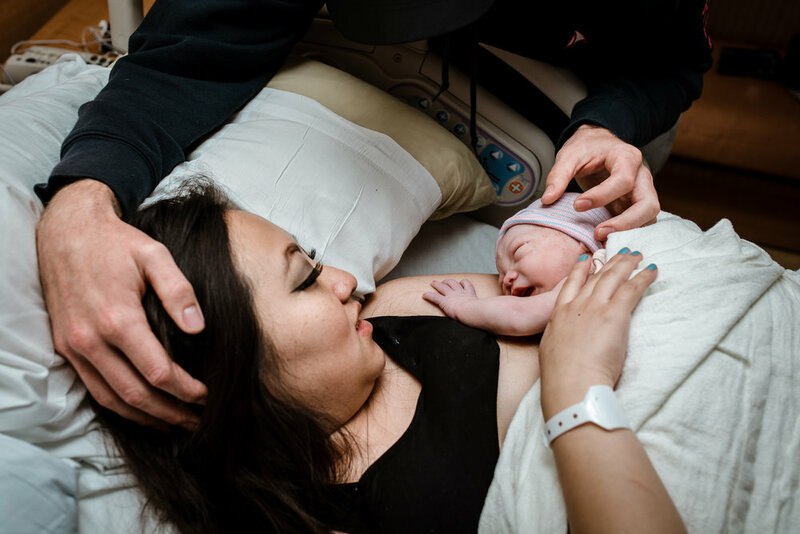 Many families in the Twin Cities are interested in documenting their baby's first day but don't know if they're ready to hire a birth photographer. If you're one of these families, my First Glimpse Session is an excellent option for you. I love telling your story even if your particular story doesn't begin until after the moment your baby arrives. There are so many lovely details you'll want to remember from your baby's first day like just how incredibly molded baby's head when he was born and the beginning of your breastfeeding relationship and the way you and your birth partner looked at each other in amazement after finally meeting your baby. I can help you preserve these moments. Your First Glimpse Session can also be scheduled during daylight hours, when siblings or grandparents are visiting, or anytime in the first 48 hours of baby's life. I happened to arrive at this particular First Glimpse session around the time that mama started pushing and was able to capture baby's moment of birth as well as a few supportive moments with papa while mama worked on delivering their babe. 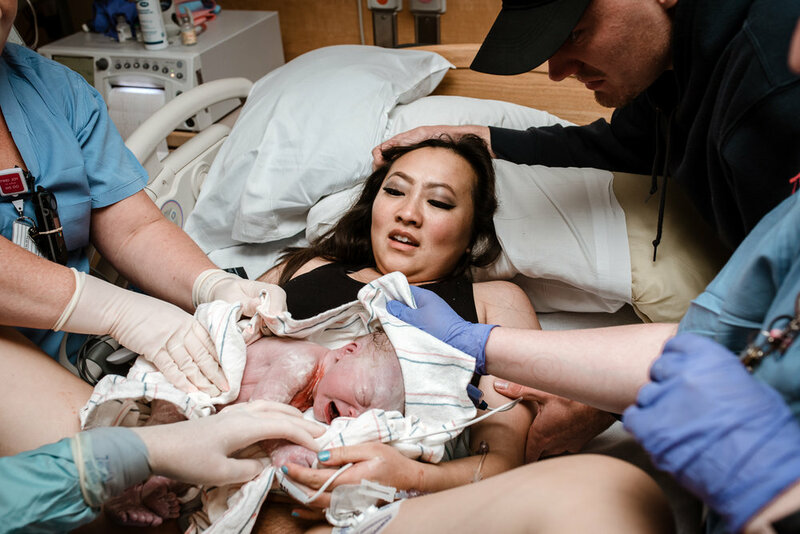 Many of my clients choose to use these photos for their printed birth announcement or send a few in a quick email to out of town friends and family showing off the newest member of the crew. Regardless of whether you decide to capture the time before, during, and after baby's delivery or just the sweet first moments after baby is born, I promise you'll cherish those moments forever. Welcome to the world, Kai! We're so glad you're here! IN MINNEAPOLIS AND INTERESTED IN PHOTOGRAPHY? TALK TO MEREDITH TODAY.